Leaders in the Sign Industry since 1954. 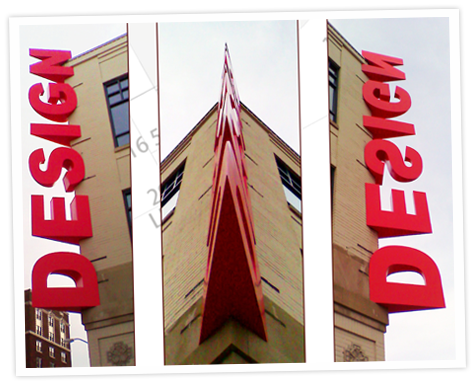 Custom sign design, installation, & repair to best suit your business needs. 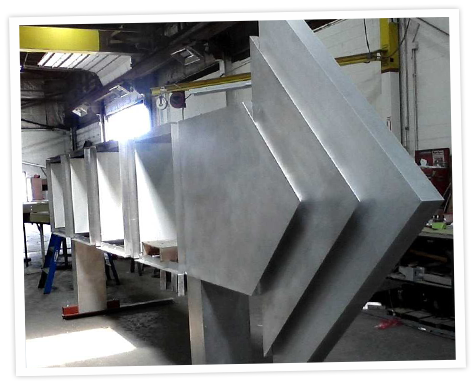 DāNite Sign Company has the custom sign design capabilities to create dynamic, competent, and professional signage for your business, specializing in the production of interior and exterior signs that are tailored to your vision. 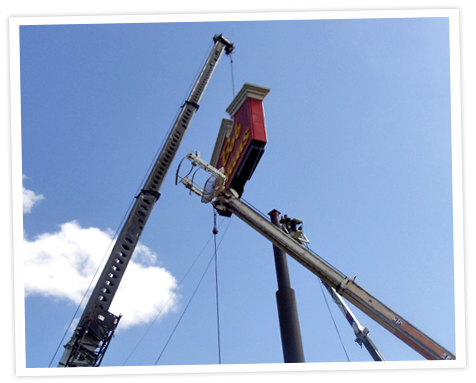 If you can imagine it, DāNite Sign Company is the sign shop that can create it! 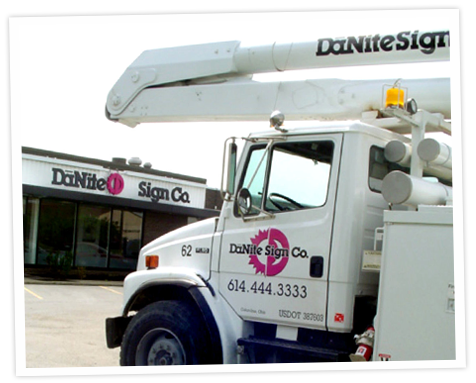 DāNite Sign Company takes pride in providing full-service, state-of-the-art production, permitting, installation, and service of on-premise signage for businesses both large and small. Products range from simple window vinyl with store hours, to planned development sign packages, or multi-location national branding. 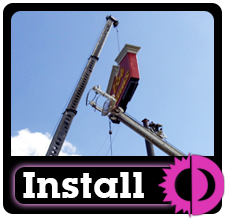 The team at our sign shop also prides itself on having one of the best-trained and equipped installation and service departments in the Midwest, capable of repairing neon and electronic message centers alike. With our specialized teams, you benefit from the experience, talent, integrity and a commitment to quality. 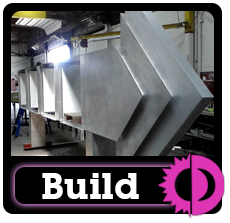 Browse the various options in sign types and then see what our Sign Design and Engineering experts can do for you! 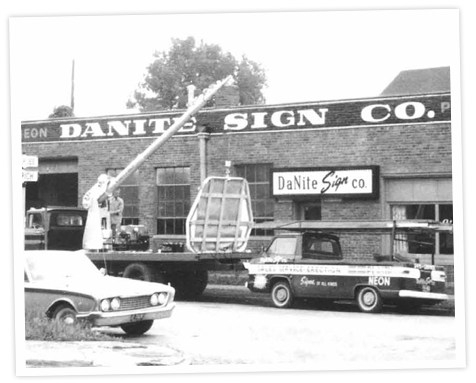 Learn more about how the DāNite Sign Co. team helps build and manage sign projects – from consultation, design, and permitting, to sign completion and installation. 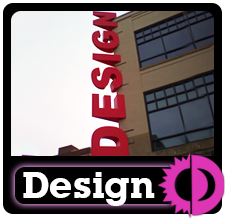 The DāNite Team designs and installs a wide variety of signs in a wide variety of environments, from simple door vinyl to multi-story wall murals, from sidewalk level plaques to towering highrise signs and more! 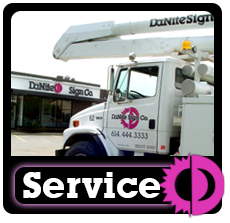 Through the priority service that comes with the DāNite Sign Service Agreement, it is no wonder that customers rave about the efforts made to meet every service need that arises. Only central Ohio sign company voted into the WSA (World Sign Associates) International Service & Installation Network. DDSOhio, Dental Family Center, Inc.